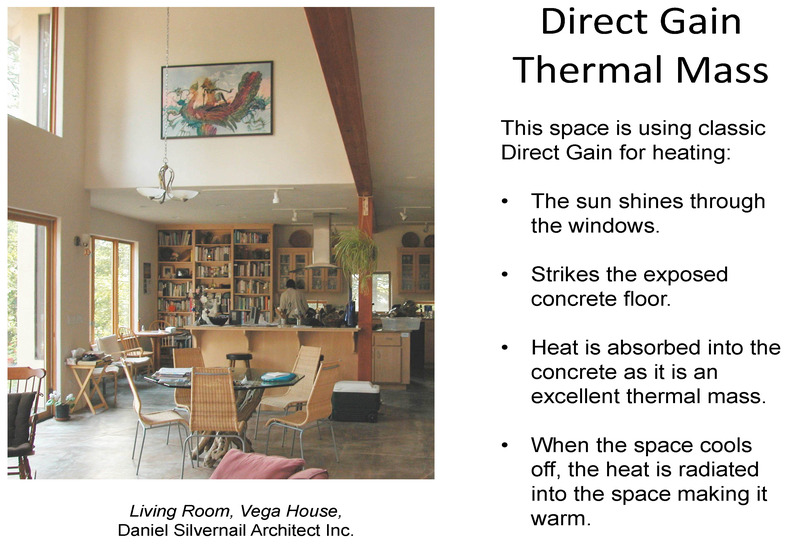 Thermal mass is a vital and complimentary component of passive solar design. Common building materials with thermal mass include stone, tiles, and concrete. 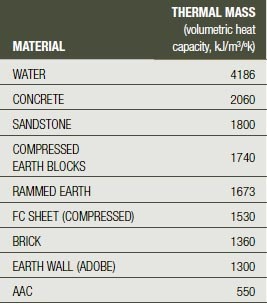 Chart of some common thermally massive materials. Objects with Thermal Mass will also keep a building cool. Thermal mass can be used for its capacity keep a structure cool during the hotter summer months.